Cats' mating may seem simple to the casual observer: they mate loudly, frequently, and indiscriminately; the female cat becomes pregnant, then gives birth to a bunch of kittens. The truth is not quite as clear-cut as that, however. For instance, did you know that cats do not ovulate until they mate? Or that a female cat may give birth to five kittens, each from a different father? That whole male cats have barbed penises to stimulate the female cat to ovulate? 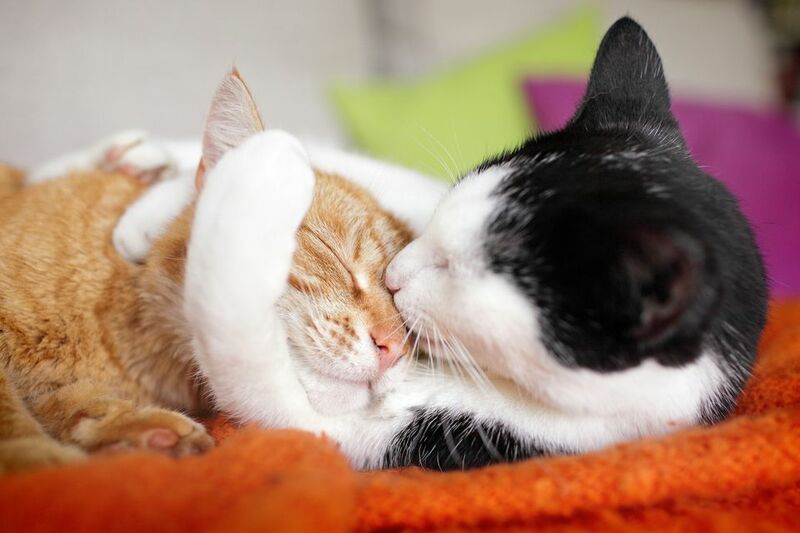 Learn here the truth of these matters and much more about cats mating. You may have adopted or been given a female kitten, and now that she is a few months older, her behavior has suddenly become suspiciously "amorous." You are wondering could she possibly be in heat already? Yes, you've read about spaying, but haven't yet gotten around to it. Perhaps you're secretly thinking how nice it might be to have a litter of kittens - just one. You love her, though, and you're also wondering if she could become pregnant at her age. What exactly would happen, should she someday slip out the door and encounter a frisky male cat with only one thing on his mind? Female cats that are not spayed will eventually come into heat (technically called oestrus), and the signs are unambiguous, once you know what to look for. A kitten can have her first heat as early as 4 1/2 months, so don't fall for that old "wait until six months to spay" advice. And remember, that once a female cat has her first heat, it will happen again and again, until she either mates or is spayed. Here are some behavioral symptoms to watch for if you suspect your cat is in heat. For a vivid video description of a young cat in heat, also watch this YouTube video. Cats in heat will go to any length to find male cats to mate with, and male cats have sometimes been known to tear down screens to get to a female in heat. If your cat was in heat and had access to a tom (un-neutered male) cat, the likelihood that she is pregnant is very strong. A pregnant queen will show both physical and personality changes which will first become more evident around three weeks after mating. Learn to recognize the signs your cat may be pregnant. So you were a little slow in having her spayed and your cat turned up pregnant, or perhaps a pregnant stray adopted you. Maybe you are working with a rescue group and this is your first fostering experience with a pregnant cat. Where do you go from here? Your first major decision is whether or not to allow the condition to continue. Yes, pregnant cats can be spayed, but the earlier in the pregnancy, the better. However, this is a decision you'll want to discuss with your family and your veterinarian. The entire development of the embryo is a fascinating study with scientific names for each stage, but for brevity and better understanding, we'll concentrate here on the basics. Note: the process of development is more important to understand, rather than the names given along the way. Whether you've adopted a pregnant stray, or your own cat has become pregnant, you'll want to provide all the things your pregnant cat needs, both for her health and for the health of the unborn kittens. Except for nutritional considerations, especially for a stray pregnant cat, most of the things you'll provide for her are the same things you give any cat in your care: shelter, a place to sleep, litter box, scratching post and toys. (Exercise is important to pregnant cats too.) Learn more about the ​care of a pregnant cat. In general, any unusual symptoms during gestation should be followed through with a call or visit to your veterinarian. This is an important part of the care of a pregnant cat. Although many pregnant cats go through gestation trouble-free, there are potential problems that can occur. Being forewarned is being forearmed. 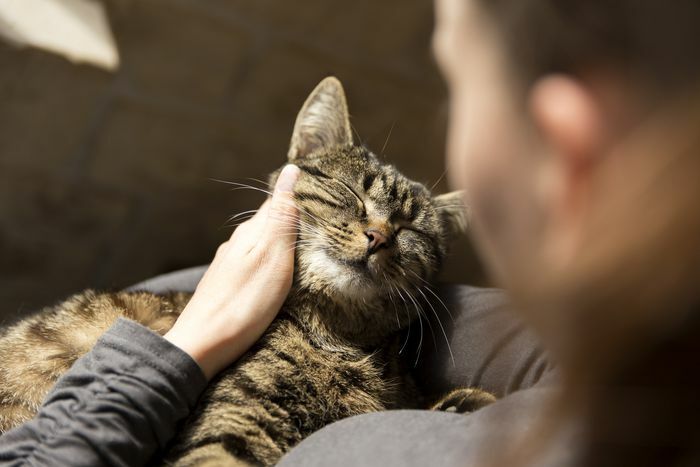 Chances are that you will not need to do anything to help with the birth process except to be with your cat to encourage her - sort of a "cat doula." You may even wake one morning to discover that your pregnant cat has given birth during the night, and is comfortably nursing her kittens. However, you should know how to spot potential problems and what action to take, should she need assistance with the birth process. The first two to three weeks are the most crucial for your mother cat and her newborn kittens. The kittens should be developing rapidly, and the queen will usually show symptoms of any post-partum problems by this time. Keep the queen and her babies in a quiet part of the house; a separate room is ideal, and make sure the room is warm enough. Chilling is one of the most critical dangers to newborn kittens. Let the mother cat set the pace for your attention. If she is a longtime companion and resident, she may welcome your visits. Sending kittens away to a new "forever home" can be either a joyous or worrisome occasion, depending on how you handle the preparations. You have invested almost two months or more of work, worry, and probably expense, in caring for the mother cat and then the kittens. Their futures will depend on your investing a bit more time to ensure that the new homes they are going to are truly good homes. The only thing left to do now is to have the mother cat spayed​ if this has not already been done. You've been responsible for her care during her pregnancy, and I'm sure you will agree that this is now the only responsible thing to do.